Text searches are the staple choice when browsing the internet for information by interacting with search engines. Searches have remained very traditional in this respect even though with changing search behavior voice search is also gaining popularity. However, both text searches and voice searches have some inherent limitations in posing queries with precise details that can help search engines to present the most accurate results. A large section of consumers (74%) believe that traditional searches based on the text are inefficient in finding the right products online. Suppose, you want to buy a pair of sunglasses of a specific style, how would you describe what you want so that search engines understand exactly the style you want, the frame type and shape, what kind of shade or color you prefer? It is almost impossible to describe what you need exactly by only using text in the limited space of the search boxes. When searching on the internet, you will come across many such instances when the traditional method of textual description limits your ability to describe exactly the kind of thing you are looking for. When addressing text-based searches, Google presents the answers in visual form too as we see in Google Images and you will be surprised to know that Google Images constitute 22.6% of all searches. Visual marketing is fast gathering steam because images are much more appealing to human minds. To keep pace with it, visual searches are on the rise. The technological advancement that has made mobile phones more visual-centric with big screens and multiple cameras with strong depth perception is providing impetus to visual searches and visual marketing. In its endeavor to provide the best user experience, Google has always tried to provide the best results to users when addressing the search queries by presenting images and videos too along with the traditional links to websites. It means that the aspect of image search has always been there but somewhat hidden under the dominance of text searches. For presenting the images against a text query, Google analyzed a text search query and used markups, metadata, and surrounding copy to find the best visual match. However, things have started changing and for many years, and the image itself is now a search query. The search input is an image that Google answers by providing appropriate images only. The ability of Google to search for images by looking at images provided in searches is what visual search is all about. Google has been steadily improving its image recognition capabilities to exploit the opportunities provided by the mobile devices, and this is evident from a series of developments that have been happening since 2013. Google’s first foray into visual search began with the introduction of Related Images that displayed many similar images when the viewer clicked on a result. In the next step, in mobile searches, the product images showed up next to website links. It also showed product details like price, rating, availability and other relevant information. Gradually, the introduction of ‘Similar Items,' ‘Style Ideas,' ‘Image badges’ and ‘Image Captions’ lent more clarity to the visual results. With images now becoming a part of search results, Google is tacitly leveraging the power of keyword search to draw the attention of users towards the new features. 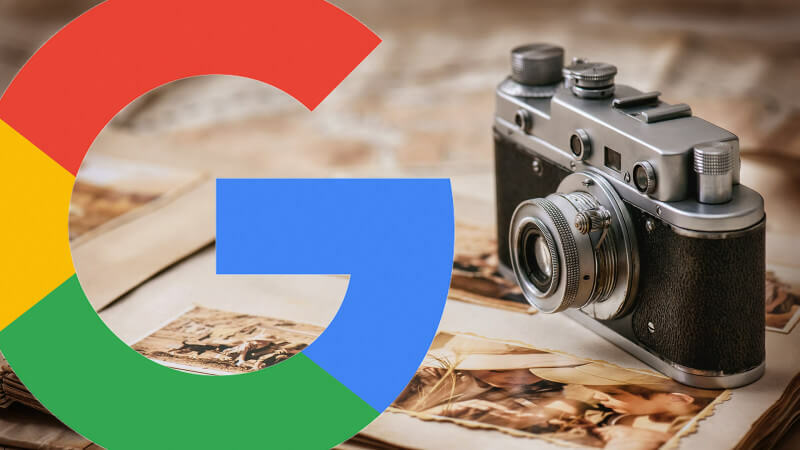 Today, you will find image blocks in about 18% of text-based searches carried out on Google that drive users to Google Images. This is a major change that ‘Google Images’ has undergone and it provides huge SEO opportunities for those who can explore it early. The scope of ranking widens very much because of Google giving more importance to images. For text-based searches, it is possible to earn high ranks with the help of blog posts, and the search result carries an image that increases the chances of clicking on the link on SERP. Again, there is a possibility of earning a high rank in the image pack, and your products can feature in ‘Similar Items' too. All these taken together can drive qualified users to your website. Advancement in visual search is gaining momentum as Google Lens; the app for mobile devices is now capable of turning your mobile phone into a visual search engine. When you take a picture of anything, Google will not only identify the object but will also tell you more related information about it. For example, focus your smartphone on a restaurant and Google will tell not only its name but also highlight reviews and can even provide the names of your friends who have visited it. In addition, you will get access to more information about the restaurant as Google filters data available from the huge consumer database and knowledge graph. 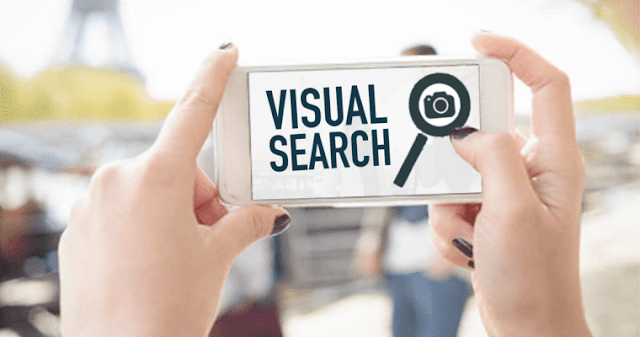 Google is now treading on the path of popularizing visual search first and then gradually move over to more obvious forms of e-commerce. However, it is not that camera searches would benefit e-commerce only. Images can be inspirational too, and search engines can very well serve users with information that are most relevant to the images. For example, if you post an image of strawberries in your search query, Google will soon revert with some recipe ideas knowing very well that it would be of interest to you. Not only search engines but e-commerce giants and social media networks too are aggressively putting money in the search by the camera. E-commerce sites have recorded 48% more product views, 51% more time spent on site, 75% higher chances of revisits and 9% increase in average order value from camera searches. Visual marketing provides huge opportunities to beat competitors. Users will now get the precise answers to their queries as images speak a thousand words, search engines would be able to satisfy users with the best experience and businesses should be able to drive more qualified traffic to websites. Author Bio: Alexander Fernandise is an experienced blogger who has written articles for several renowned blogs and websites about various uses of social media to engineer more business traffic on business websites. To know more, visit Vision Smash York SEO.